Welcome to the start of the Yorkshire Three Peaks Challenge! 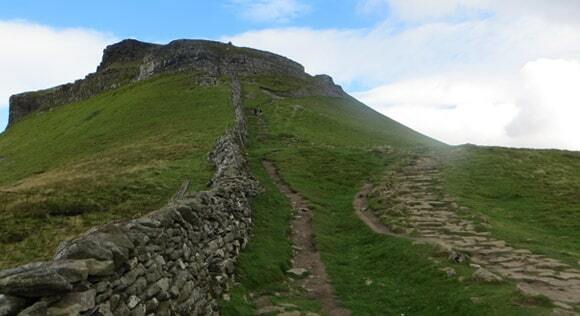 Pen-y-ghent is the smallest of the Yorkshire Three Peaks, but it is often described as the hardest peak to climb. 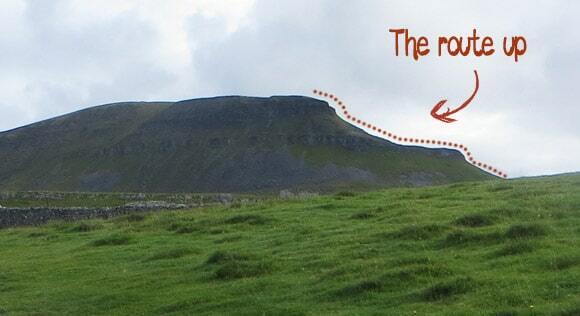 There is good news: Pen-y-ghent is the quickest peak to conquer and it will be completed on fresh legs. 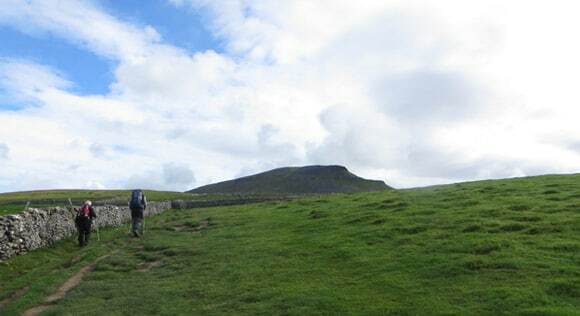 There are sections of Pen-y-ghent that require some light climbing and scrambling. Don’t worry – It’s easier than it looks! The circular route can start wherever you see fit. 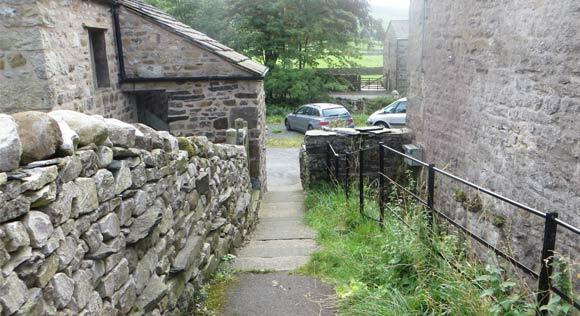 The popular starting points in Horton-in-Ribblesdale are the Pen-y-ghent Cafe, train station or wherever the car is parked. Starting and finishing in the same place is important if you want an accurate finishing time for the Yorkshire Three Peaks Challenge. The Pen-y-ghent Cafe has a clocking-in and clocking-out system to officially track your time. The cafe is very close to the car park, which is convenient. 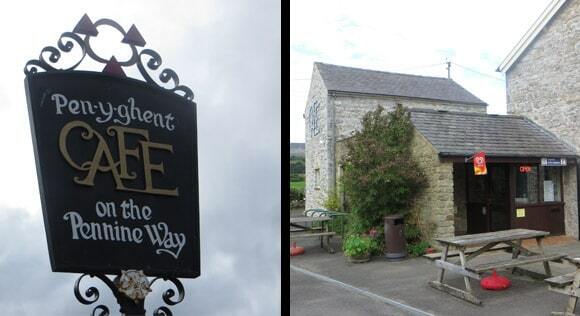 From the Pen-y-ghent Cafe head east along the main road – the cafe will be on your right-hand side – for a few minutes until you see the church and The Golden Lion Hotel. You will see a sign for Pen-y-ghent along the way. Ignore it. 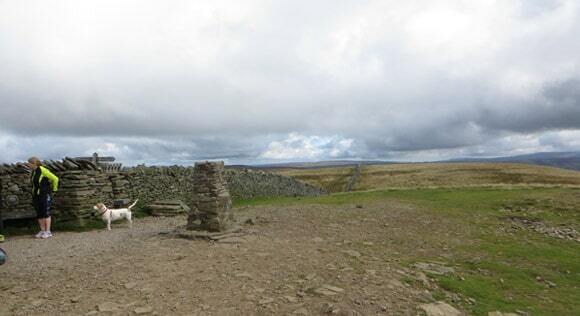 The route highlight by the signpost contains a section from Pen-y-ghent to Whernside. Going to Pen-y-ghent this way will require you to come back on yourself. 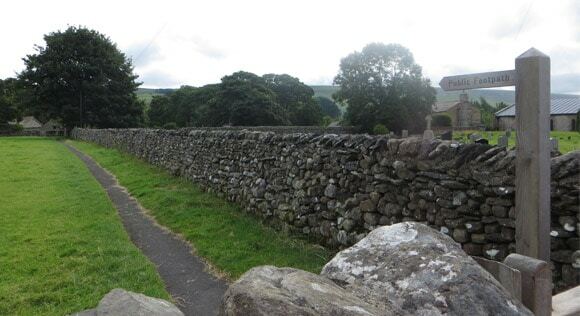 Horton-in-Ribblesdale is a small village and it won’t take you long to reach the church and The Golden Lion Hotel. As the church appears in the background, you will see the first signpost to follow. Go through the gate and follow the path until you reach the steps. Take a left at the bottom and cross the bridge. 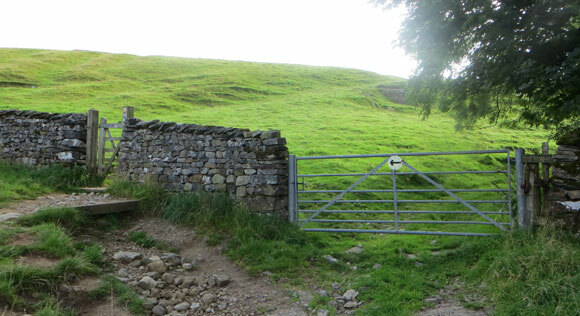 The route to Pen-y-ghent is well signposted in this area, which helps settle the nerves for any first timers who are concerned with finding the starting route. Once you are over the bridge, head left. There will be a small stream on your left-hand side and you will pass a primary school on your right. 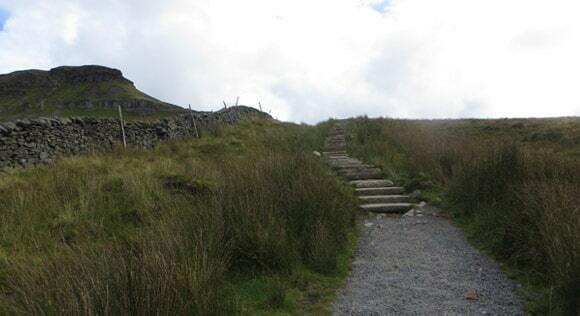 Keep following the path until you see a sign for Pen-y-ghent summit – approximately five minutes’ walk. 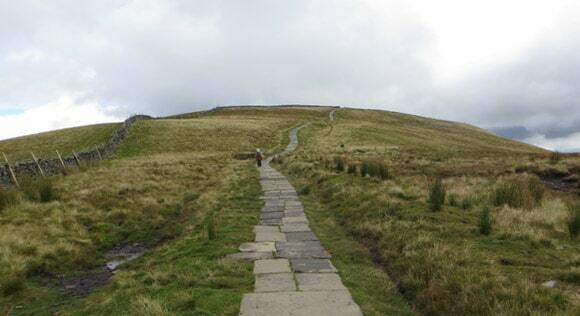 You may be able to see Whernside and Ingleborough – weather depending – during the hike to Pen-y-ghent’s summit. The route from here to the summit of Pen-y-ghent is intuitive. 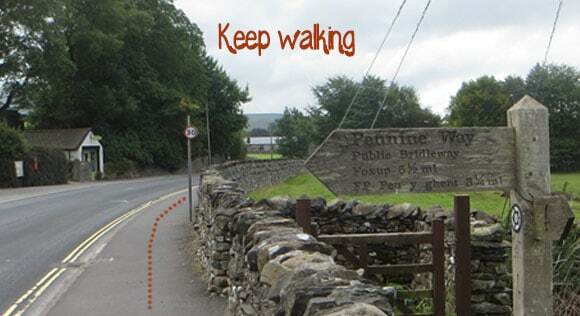 Pen-y-ghent is in the background for the majority of the walk and you will follow trails, guiding you up. This is where the real journey starts; there are just your legs, your rucksack and your company to see you through the next 25 miles. Mobile phone signal is almost non-existent from here. 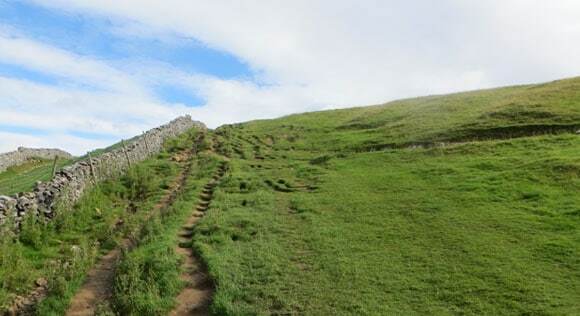 The first mile is hard going, it’s very steep and can be boggy after rain but it does get easier as you head towards the top of Pen-y-ghent. Here comes the hardest part of Pen-y-ghent. Although the surface is uneven and requires small parts of scrambling, it doesn’t take too long to complete. Once the scrambling is over, a paved path provides a casual walk to the summit. Well done! You have made it to the top of Pen-y-ghent. It may be the smallest of the three peaks, but you have conquered the toughest peak. Next stop: Walking to Whernside.